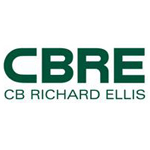 CB Richard Ellis Group, Inc is a reputed firm offering commercial services of real estate business. They offer exclusive strategic advice including necessary tips for executing property leasing or sales; mortgage banking; development services; investment banking or management; consulting and research; corporate services; project management and facilities; valuation and appraisal; capital markets; asset services; agency brokerage; restructuring and recovering, etc. They have more than 300 offices worldwide. They rechristened as CBRE Group, Inc in 2011. The company was even recognized, for sixth consecutive time, regarding its work towards commitment to help people in achieving goals of their career and life. There are currently 0 consumer reviews about Cb Richard Ellis Group, Inc available. Share your review. Please take a note that you are about to post a public review about Cb Richard Ellis Group, Inc corporate office on CorporateOffice.com. This review will be public, so please do not post any of your personal information on this website. If you would like to contact the corporate offices of Cb Richard Ellis Group, Inc, please use their contact information such as their phone number, website, and address listed above to contact them. However, sometimes staff from Cb Richard Ellis Group, Inc headquarters do read the reviews on this website.